Crazy busy days at work in the days and weeks leading up to “the trip”. Today I had an appointment at Ride West BMW in Seattle to get a new clutch and wheel bearings installed in my bike. At 28K miles the clutch was at the end of the adjustment range which means towards the end of clutch life. 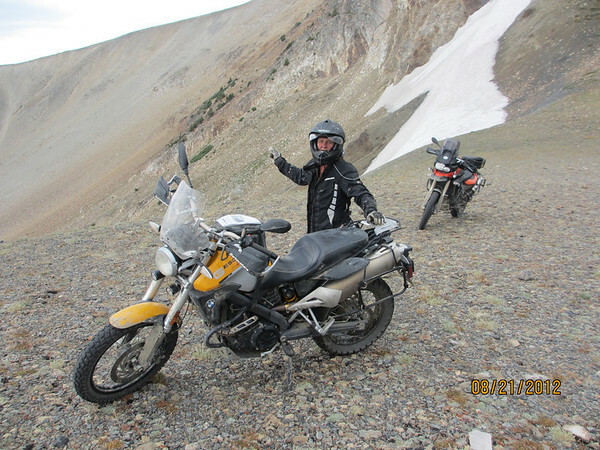 I think the ride up the highest “road” in Idaho, the Chinese Wall, last summer used up at least half the clutch life. Click HERE for a YouTube video of someone else riding up the wall. Under ideal conditions it might have survived the whole trip but I could see myself on the Bolivian Road of Death, El Camino del Muerte slipping my clutch on steep uphill grades in mud and sand and have it die. Better to replace it now and better to have Ride West do it so I can focus on work and trip preparations. My riding gear got another cold weather test this morning as I rode to Ride West in freezing conditions on icy roads, at least it was dry and the sun was out. I’m glad to say I was plenty warm, a good sign. This entry was posted in 2013 Motoraid II, Dual Sport, Motorcycle Adventure and tagged Motoraid, MotoraidII by donnh. Bookmark the permalink.